LOS ANGELES - Advance sales for Disney-Marvel's "Black Panther" have set a new record for Fandango as the top seller among Marvel Cinematic Universe movies in the first 24 hours, topping "Captain America: Civil War." Sales launched Monday night after a national spot aired during the telecast of the College Football Playoff National Championship. Chadwick Boseman stars as T'Challa, who takes over as the king of Wakanda after his father T'Chaka is killed, as shown in "Captain America: Civil War." The film also stars Angela Bassett's Ramonda, Forest Whitaker's Zuri, and Michael B. Jordan's Erik Killmonger. "'Black Panther' is riding an incredible wave of momentum right now," said Fandango editor Erik Davis. "It's one of the biggest and most anticipated movies to ever open in the month of February, and its trailers have electrified the internet. Tickets have been going fast ever since pre-sales started on Fandango late Monday." 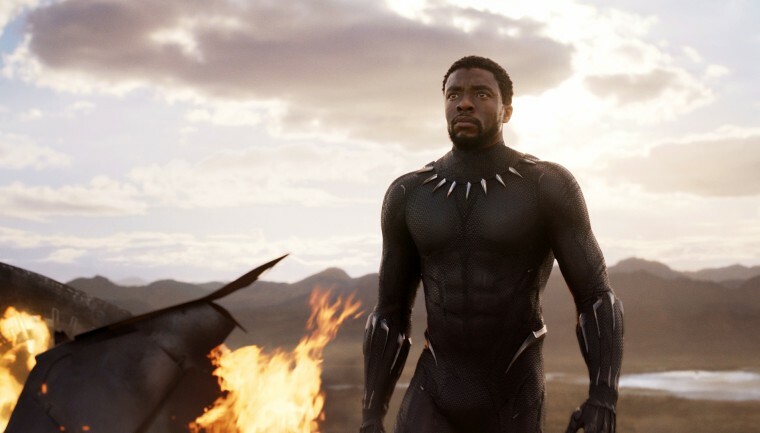 Fandango said a survey of more than 8,000 moviegoers showed that "Black Panther" was voted as one of the year's top two most anticipated movies, ranking second to Disney-Marvel's "Avengers: Infinity War," which includes many of the "Black Panther" characters, and Boseman was voted as the most anticipated comic book hero in a standalone movie. "Captain America: Civil War" opened in May of 2016, and is the 15th-highest worldwide grosser, with $1.15 billion.